Finally an high-end device from YU (subsidiary of Micromax) is on the way and the specifications of the phone are now confirmed. The specifications of YU Yutopia are now confirmed by the officials and the device will soon be available in online stores. This time YU has used the same marketing strategy as OnePlus and the device has already been hyped too much before its launch. YU has taken an aggressive marketing approach by comparing their new smartphone with recently launched OnePlus 2. Currently the price of YU Yutopia has not been confirmed but it can be expected to hold a premium price as per the specifications it hold. It might have a very competitive price with OnePlus 2. As per the teaser, YU Yutopia will have the quick charge support for faster charging, like 60% charge in 30 minutes. It is definitely a plus point when it’s compared to OnePlus 2, in which quick charge support is missing. 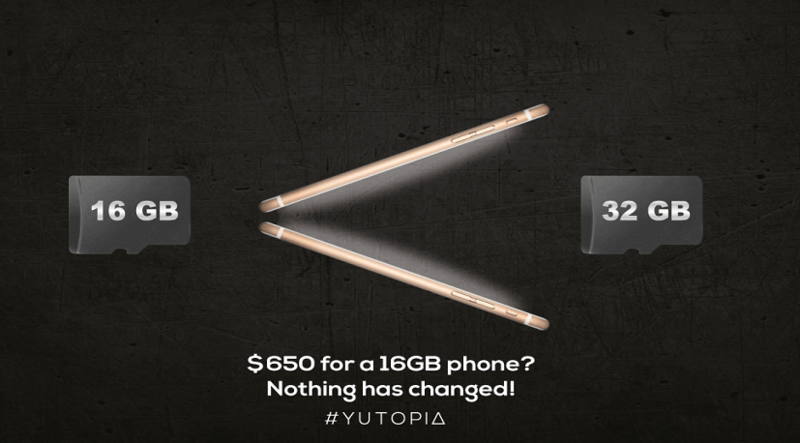 YU Yutopia will have the inbuilt storage of 32 GB instead of 16 GB. According to YU website, it seems that YU Yutopia will have a Quad HD display, as they have mentioned “Why settle for 1080p”, which directly means there is something better than 1080p. This also means that Yutopia will the first device from YU to have a Quad HD display. The screen size is still not known till now, but as per the previous leaks in benchmark test, the new YU phone will have a 5.2 inch screen. The new device from YU will have a metal body instead of any plastic or sandstone. This will surely make the device more premium in addition to the specifications. 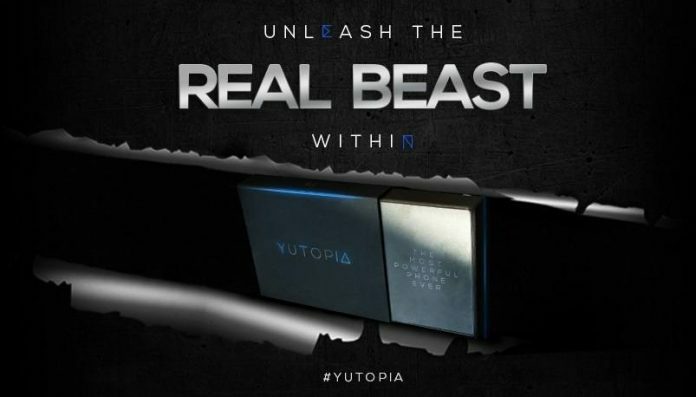 YU Yutopia will be powered by Snapdragon 810 1.5 GHz Octa-core processor accompanied with 4GB of RAM. As expected this YU device will come pre-loaded with latest build of Cyanogen OS. The complete specifications of YU Yutopia will be revealed soon by the company. Display: 5.2 inches with Quad HD resolution. To get more updates on YU Yutopia, stay tuned with us. We will continuously keep an eye on this new beast from YU.